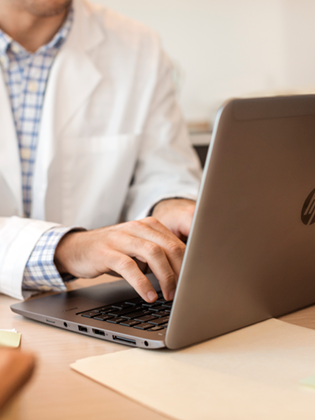 Modern, mobile, style-centric users do it all with HP devices powered by the latest gen Intel® Core™ Processors and running Windows 10—while IT can more securely manage growing digital diversity and personal preferences. The exhilarating power of record-setting, innovative platforms, quick access and harmonized technology enables smooth working and living in today’s anytime workplaces—in and out of the office. 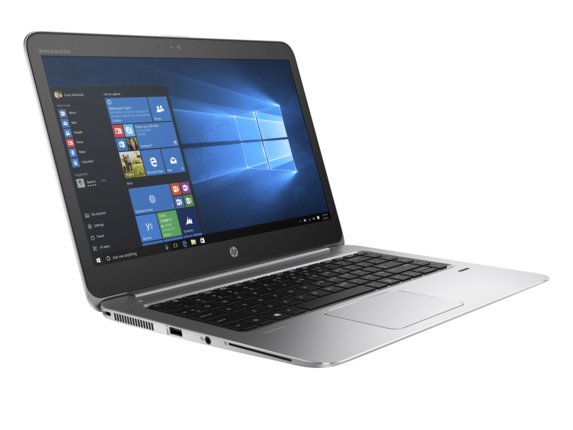 For modern anywhere workstyles, intrusion risk declines with a resilient foundation built from the ground up by HP, dynamic protection, facial and fingerprint recognition and an exceptionally secure operating system with Intel processors that feature built-in security. We collaborate to innovate. 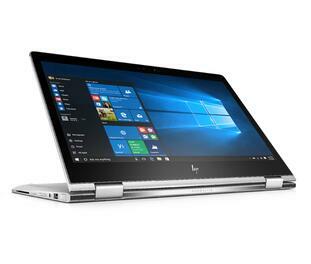 HP devices powered by leading 7th gen Intel processors and running Microsoft’s best ever operating system for design, security and collaboration—exceeding the demands of mobile workstyles. 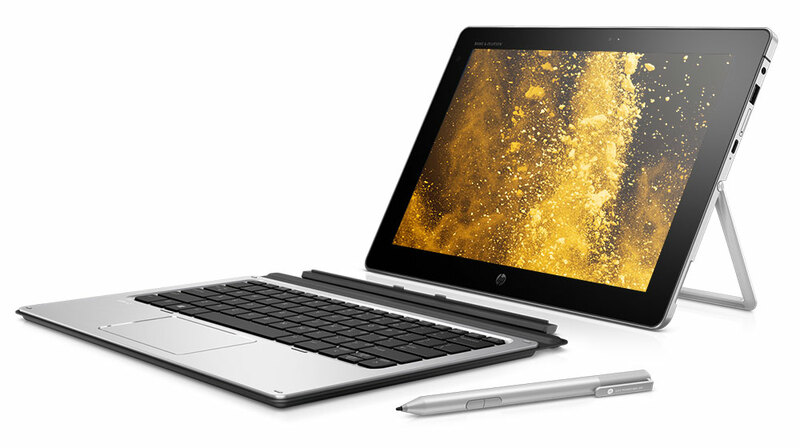 Users and IT pros alike rely on devices made by HP, powered by Intel and running Windows 10. These three powerhouses partner together to innovate sleek design, solid security and smooth collaboration—together exceeding the demands of modern mobile workstyles. 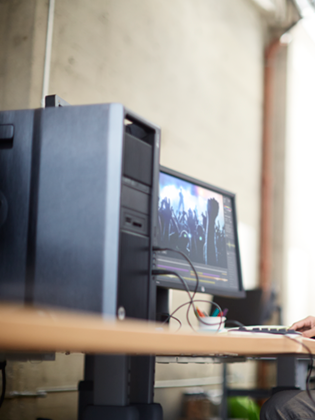 Push your computing boundaries with the HP Z840 Workstation and keep up with your biggest projects. 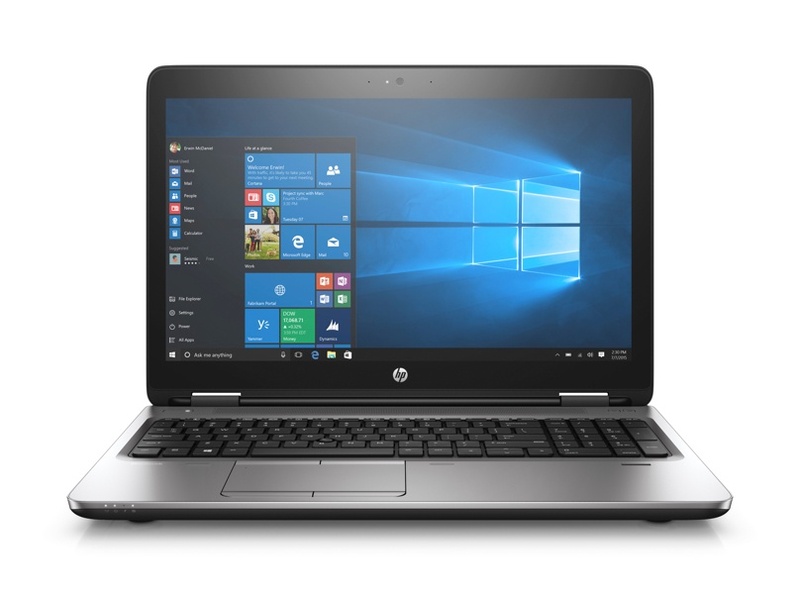 Built for high-end computing and visualization, the HP Z840 delivers outstanding performance in one of the industry’s most expandable chassis. 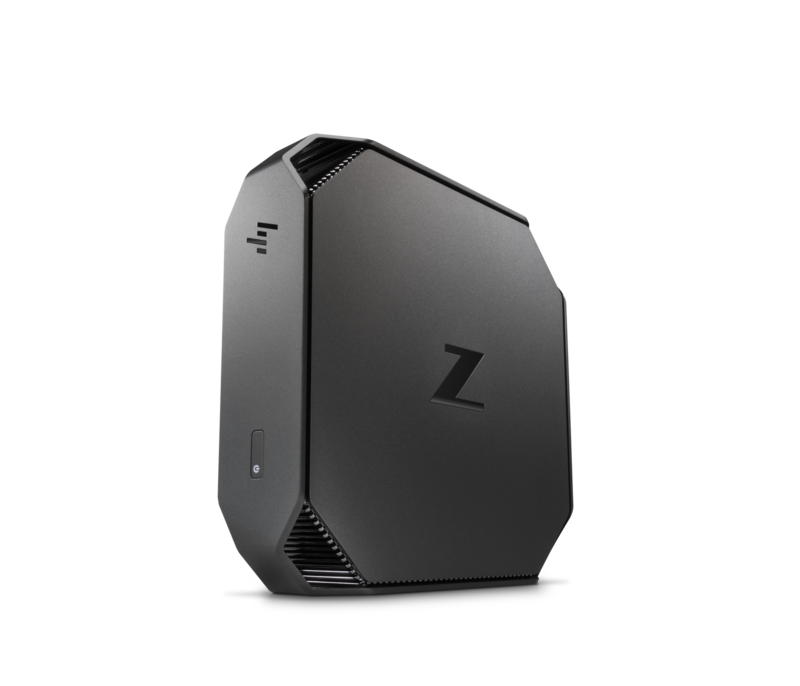 Primed to perform, the HP Z840 allows you to achieve the performance you need with the ability to support two next generation Intel® Xeon® processors for up to 44 total processor cores in one system. 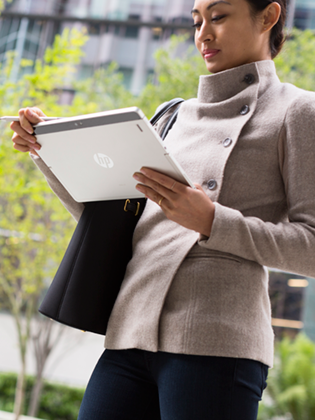 Reinvent the workday with the perfect combination of power and portability. 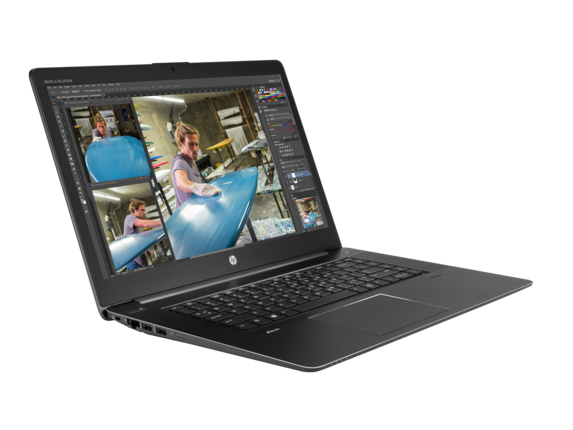 The 15.6-inch diagonal HP ZBook Studio, the world's first quad core workstation Ultrabook™, is revolutionizing the design language of mobile workstations, becoming HP’s thinnest and lightest full-performance workstation ever brought to the market. 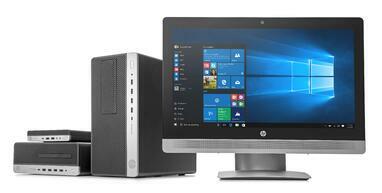 HP has once again pushed the innovation bar higher with dramatic, stylish updates to HP’s Z1 Workstation All-in-One. Featuring a space-optimized, uncompromised, and fully featured design at a budget-conscious price point. Business demands confidence. Here’s yours. 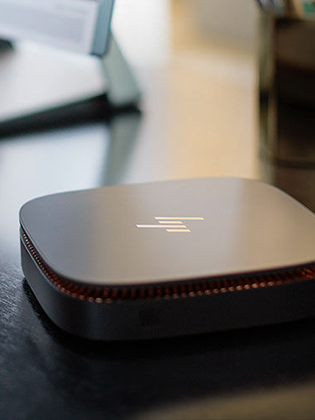 Designed to perform, impress, and protect—this sleek HP EliteDesk helps you power through to business success while allowing customized deployment. Available in Desktop Mini, Small Form Factor, All-In-One and Tower models. 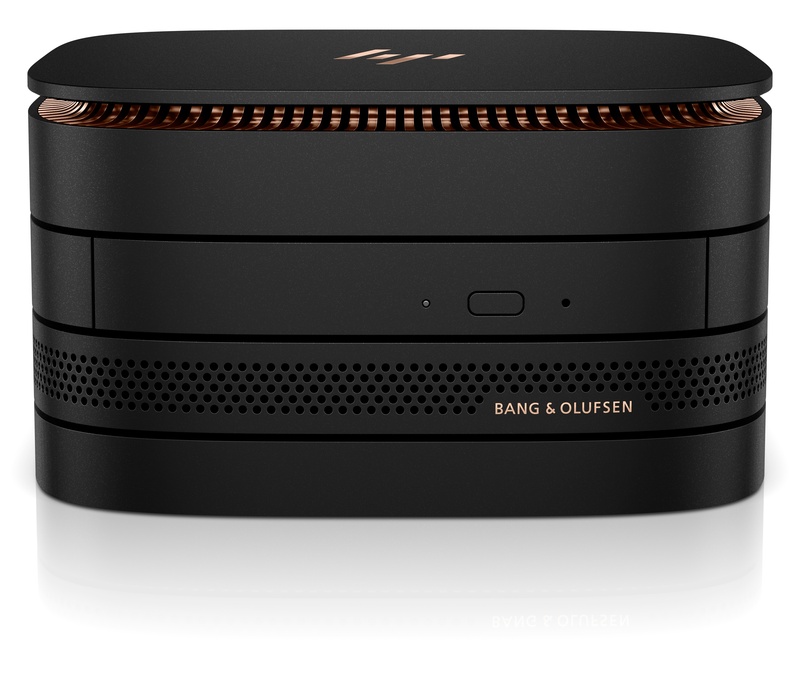 HP Elite Slice Desktop — HP’s smallest desktop yet—a modular breakthrough powered by an Intel® Core™2 i-Series processor that takes the place of your towers while acting as a wireless communication hub for collaboration, charging, or as a multi-media player. When you power up a stylishly redesigned HP ProDesk desktop you’ll get a confident, intuitive experience and proven reliability to get the job done today and in the future. 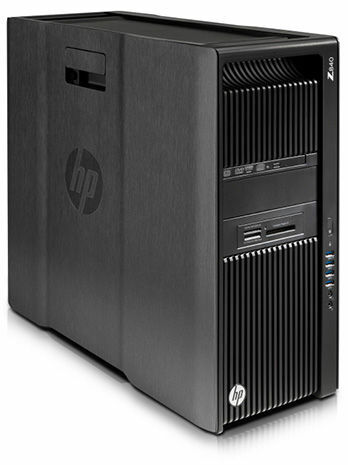 HP ProDesk line of models provide high performance with a strong sense of security and masterful management. Everything a business notebook should be. 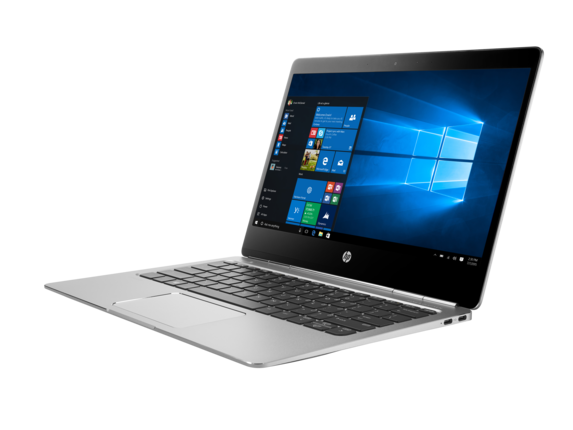 The sophisticated style of the world's thinnest 14-inch diagonal business-class notebook complements its innovative performance, security, and manageability features. We’ve been in business for over thirty years. In that time, we’ve realized that our experience and commitment to excellence truly sets us apart – and it’s also what enables us to make a difference in our customers’ businesses. Learn more on our website - vlcmtech.com. Create quick access with harmonized technology. 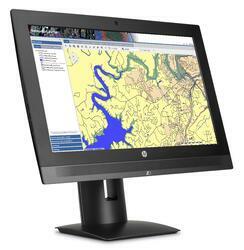 Contact us to learn more about HP end user computing solutions or request a hands-on demo of an HP unit.